Websites tell a lot about a company. It tells you whether they truly care about their message or if they feel their message is in the work. We like agencies that don’t take the easy way out and hone a unique point of view. We find that the best simply have a need to communicate. They can’t help but craft a meaningful presence online. Here (in no particular order) are three Inland Empire advertising agencies that use their websites to stand out from the crowd. >> Choosing your marketing and design partner is not an easy task. Download our free checklist to make sure you know how to choose your Graphic Design Studio. FG Creative. The first touch we admire from FG Creative is how they match the eye color of the guy on the homepage slide with their logo color. It’s a subtle thing that a lot of potential customers will miss but it says something about their eye (pun intended) for detail. Like a lot of adverting agency sites, it’s big and visual and comes with the requisite homepage slider. They have fun with the social media page visually and they make a solid impression they understand social with a blog and easy to find buttons for Facebook, Twitter, LinkedIN and YouTube. It’s a bit shocking to us how few Inland Empire agencies get the need to have a solid website and a steady presence on social. These guys are doing it right on both counts. Atlas Buying Group. We know what you’re thinking. Atlas Buying Group? What is that…a moving company conglomerate? Nope, it’s a rather oddly named marketing company in the oddly named city of Rancho Cucamonga. They have an awesome website. It loads superfast, which we find is an often overlooked factor when it comes to snaring traffic. We also dig the images they use for “shared mail” and “direct mail” as a way to draw you into their service offerings. The way they set up their blog is eye-catching and easy to navigate. And they seem to really be on top of their social media presence with over 1,000 Facebook likes and a recently updated Twitter stream. Once you get past the name (maybe they need a rebrand?) it’s all systems go for this Inland Empire advertising agency. >> We know your business brand is important, and having the right design and marketing partner is key. 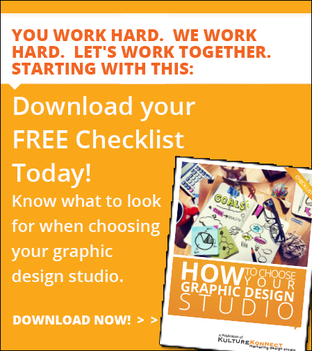 Download our How to Choose Your Graphic Design Studio Checklist now! Echo Factory. With two offices, one in Pasadena and another in Rancho Cucamonga, Echo Factory proves they can handle advertising, marketing and design work small and large. This is our favorite site of the three. One big reason? No slider! Just a fantastically friendly and fresh photo of their team. We dig the agency stats because it shows they know how to communicate what matters in massively efficient manner. The blog is prominently placed, as well as a nice tab at the top that says “let’s work together”. The “work” page is simply yummy with compelling images that make you want to dig deeper to find out what these guys can do. Overall the site is a 9 on a 10 scale. You just can’t do much better than this. In the Inland Empire you really have to search to find advertising agencies that are passionate enough about their work to create meaningful websites, but these three agencies shine and stick out for all other agencies and design studios in the area. 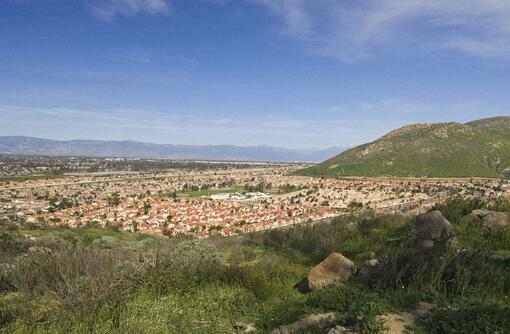 If you need marketing, advertising or design help give us a call at (951) 479-5411 and we can help you out today!